At Restore Physical Therapy, we believe you deserve the best care in an environment that is comfortable and welcoming. Here you will find the staff takes an interest in you from the moment you connect with us. Take the time to fill out the forms ahead of time, so your evaluation can begin with a conversation about what brought you to Restore, and what you hope to accomplish. You will have the opportunity to have your story listened to, ask any questions, bring up any concerns, and help us determine your physical therapy plan of care. Have your kiddo in tow? No worries. Our space and clinic is kid-friendly. Let us know what will best entertain your child during your appointment, and we will do our best to accommodate. We all know it can be a challenge to find childcare to get to appointments, and we do not want childcare to prevent you from reaching your goals. Paige has completed multiple Breast Cancer and Oncology Rehab courses and is a PORi-Certified Oncology Rehabilitation Specialist. Paige is incredibly passionate about treating patients with cancer! 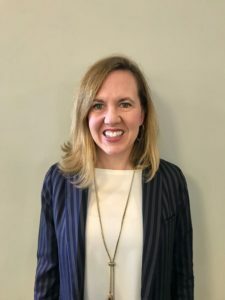 Her long-term goal is to create a unique field of oncology rehabilitation that focuses on restoring the whole person (body, mind, and spirit) all under the same roof which includes a pelvic floor and certified lymphedema specialist, along with yoga, Pilates, nutritionists/healthy grab and go prepared meals, counselors, etc. in a wellness center environment. Paige is a dedicated breast cancer rehabilitation therapist who is incredibly passionate about providing leading-edge oncology specific treatment for patients’ post-mastectomy, post-lumpectomy, after reconstructive surgery and during (and following) both chemotherapy and radiation.